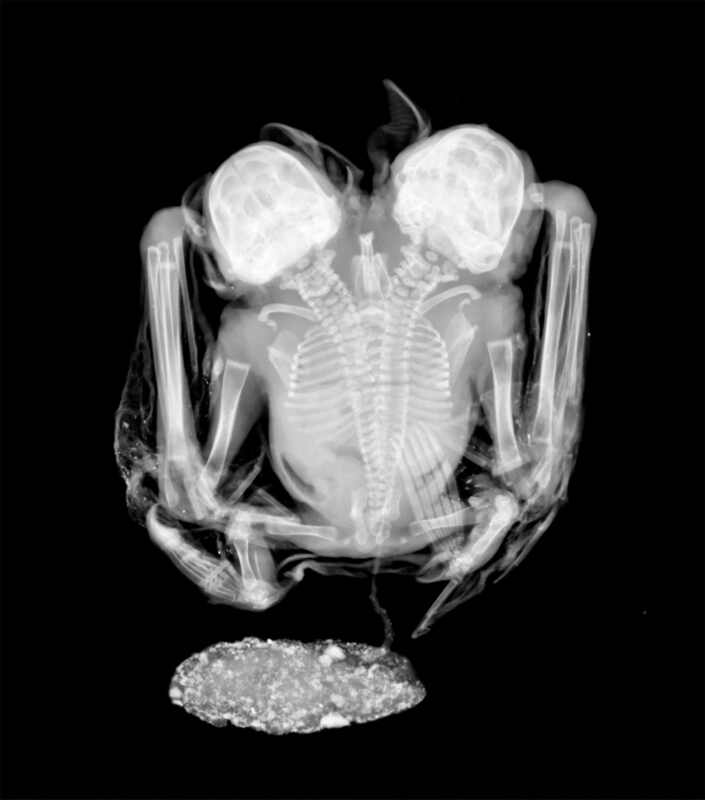 In people, where the phenomenon is well-studied, conjoined twins are still quite rare and only happen in 1 in 200,000 births in the United States. (Read more about two-headed sharks.) 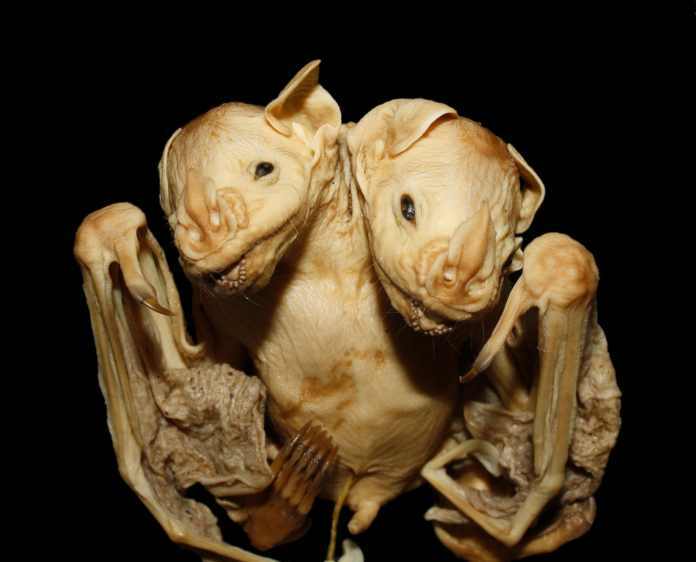 The researchers believe these bats are newborn Artibeus bats from their physical characteristics, and also surmise they died at birth or were stillborn as their placenta is still attached.